Las Vegas Buddhist Temple: Our Temple is a place of prayer, meditation, learning and a refuge. If you have been curious about Buddhism, Taoism, or Native-American spirituality, the Lohan Spiritual Center is home for meditation and education. As Buddhism spreads Westward many people are seeking alternatives to traditional western religion, Buddhism is not a religion but an understanding and pathway to enlightenment, and a very personal relationship with your self through meditation and learning. The Lohan Spiritual and Cultural Center is a very welcoming and friendly way to start your journey or continue your search for enlightenment and spirituality with a very well educated staff of Priests and Abbots. We offer many classes starting with an introduction class up to advanced levels, all are welcomed. 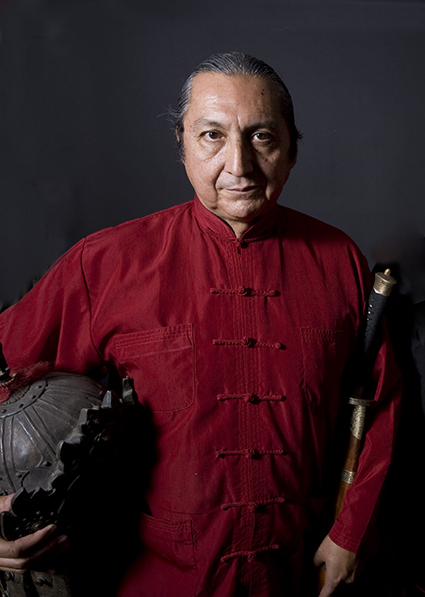 Our Abbott is Dashi Steven Baugh, also known as Dashi Chuan Sheng Shakya. The Lohan Spiritual and Cultural Center is 70% Buddhist, 20% Taoist and 10% Native American in philosophy and practice. Our lineage allows each member to explore their personal spirituality. We have many tools and processes available to us, and few restrictions. We are a mixture of three different lineages of Buddhism – Chan (Zen) Buddhism of the Hsu Yun Order, Hanmi Buddhism under Master Yu Tian Jian, and Tibetan Buddhism under Dzogchen Khenpo Choga Rinpoche. Our Taoist lineage is from Master Share K. Lew of the Complete Reality School. The Lohan Spiritual and Cultural Center is a multicultural organization, it is not necessary to abandon any existing spiritual practices or beliefs, as long as no sentient being is harmed. The Lohan Spiritual and Cultural Center operates as a headquarters of spiritual growth and education for the Las Vegas and Southern Nevada area. Our Mission: To work with all positive religions, learning the principles, philosophies, and spiritual traditions of all faiths and cultures. Our Goal: To hold lectures and teachings on health, wellness and spiritual Knowledge, integrity-trust-friendship. We are located Inside the Lohan School of Shaolin at 3850 Schiff Drive, Las Vegas, NV 89103.